Except wait! If you order these from Assunta Store, they are the OPPOSITE of expensive and the proceeds go toward Little Flower Projects, to help orphaned children in China. That is a big fat winny mcwinnerson right there. While we're talking babies, if you are about to have a brand new one of your own, acquire thyself an Aimee nursing gown to change into after you're finished ruining whatever article of clothing you're wearing when you actually have the baby. Mary is the third baby I've used this gown with. Best. I can't describe to you how truly lovely the fabric is. Soft and stretchy and retains its shape and totally, just, fits. Okay, so my Katie has created a bubble "recipe" that all the kids love because making the stuff is just as fun as using it, especially if it makes a huge mess, amiright? What you do is to send your various and sundry children outside with a mixing bowl, some liquid body wash, liquid dish soap, and liquid hand soap. Do not ask me why you need three different kinds of basically identical products. This is not my recipe. Once outside, the kids fill the bowl most of the way-ish with water and then proceed to put _____ amount of each type of soap. Attempt to blow bubbles at regular intervals. Add _________ amount of additional soap if bubbles do not present. Attempt to blow bubbles again. And so on and so forth until it's time for dinner. Okay, fine....even low sodium soy sauce has a LOT of sodium. But if you use a lot of soy sauce, why not opt for the lower sodium one instead? There is nothing that tastes as good as Kikkoman. Trust me. We have tried them all. Okay, fine again. Not all. But a lot! I totally recommend this. Marinade some shredded chicken in it for a while, then saute it for a bit. Slap it into a warm tortilla with some avocado and whatever else you heart = best chicken tacos you ever did eat. Man, I do need me a good saintly smackdown every now and then. I love those pocket diapers!! 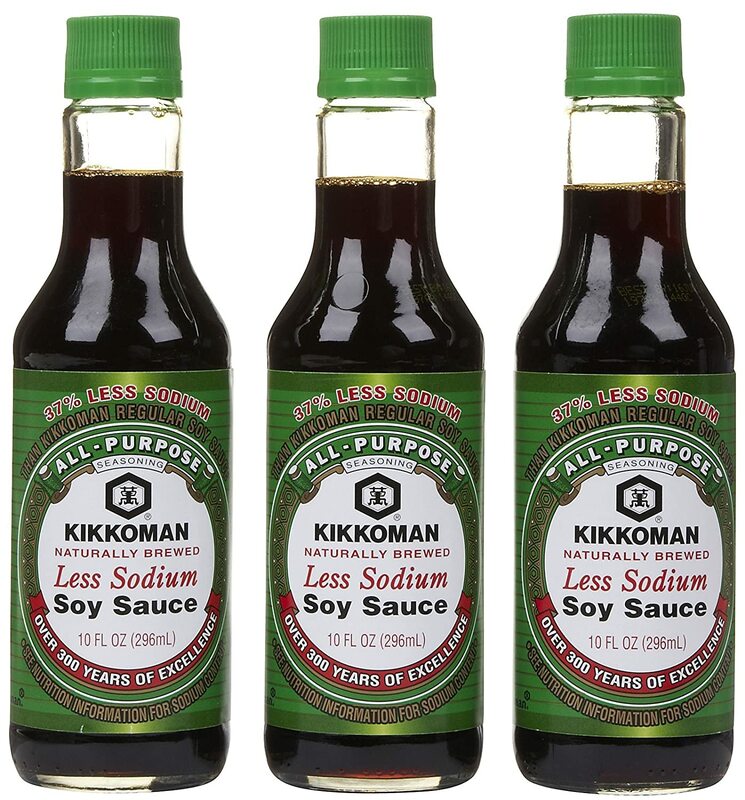 Kikkoman soy sauce is the only one I buy. And, I needed that saint smackdown too! Thank. I hadn't either until a reader recommended! I ordered some because the price was so low and I figured even if they were horrible, I'd be willing to donate that much to the organization, you know? They came and they are GREAT! So pleased. So tell me more about the pocket diaper? What insert did you get? I went with the microfiber because it is cheaper than the bamboo. Works great and dries quickly. I never used AIOs with with the older kids but I got one as a gift for number 11. Love it but hate to spend big bucks on diapers when I have so many and might not have more babies. I'll have to think about this one! Thanks! Try it. Such a delicious, easy dinner! YES to that comment. LOVE!!! Goooooodbye SunBaby pocket diapers and hellllo Assunta!!! I love my uber cheap SunBabies, but these help a good cause. Haven't ever used this, but reeeaaaalllly want to try it this time around. Um, could those hunk-a-hunk-a baby thighs BE more adorable? I just wanna take a little nibble. Oh my GOSH - babies! I have been looking for a nursing gown exactly like that and coming up short - thank you so much! Now to find $40 in the budget somewhere in the next 3 weeks! Um, well timed on the saintly smack down. Needed it. Thank you! LOVE that quote. She's basically saying "quit your bitchin' and thank God for a change"! I think we could all stand to take her advice! Katie's t-shirt is SO COOL! I'd love to get some for the granddaughters! What a great quote. Goin' in my email signature! #1 is BEST PIC Evahhh!!! I have a great friend who blogs at Blessed WIth Full Hands who sponsored a virtual run last fall to raise money for the Little Flowers. I am going to help her promote it again this year. Let me know if you feel like jumpin' in on that bandwagon (giving out some props on your mega-blog would be oh, so helpful!)!! How is the sizing on the diapers? My 17 month old is fairly long and lean around 24lbs. Do they look big enough to last until 30lbs at least? I love Assunta diapers and Love Little Flower Project!